Renault has made its model line-up easier to understand by reducing the number of versions by almost a third, making it clearer and more logical for buyers. There are now three trim levels per model and easy to understand equipment level differences. So from January 2011 three trim levels will be available on each model - Expression, Dynamique TomTom and GT Line TomTom. This replaces the baffling array of trim levels Renault currently has, which is made even more complicated by special edition models. Renault has taken customer feedback on board which included several of the major residual value providers, regarding the company's model range. As a result, the core trim levels will be reduced to a maximum of three per model, excluding Renaultsport. However, the reduction in versions is only half of the story, with standard naming and meaning of trim levels being reinforced throughout the range. In total, the number of versions across the Renault car range falls from 227 to 159. The three trim levels available, depending on model, will be Expression, Dynamique TomTom and GT Line TomTom. 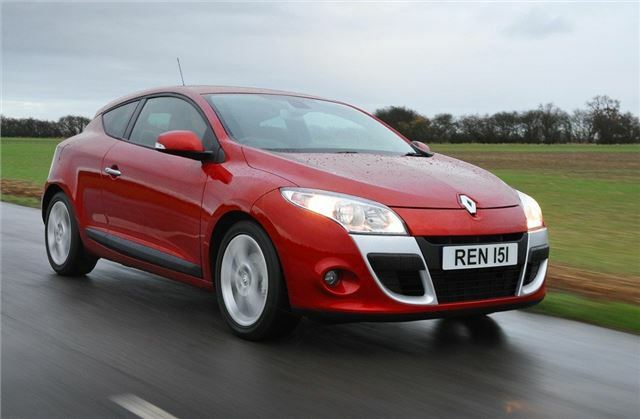 Every model range is included in the programme except the Renaultsport line-up, which remain unaffected. Limited editions such as the Gordini models will continue to be offered. As an example, the best-selling Clio range currently features six core trim levels, depending on body style, Extreme, Expression, S, Dynamique TomTom, Privilège TomTom and Initiale TomTom, plus two special editions. The line-up from January will see a greatly reduced range of entry-level Expression, mid-range Dynamique TomTom and top-of-the-range GT Line TomTom, available across its three body styles of 3 and 5-door hatchback and Sport Tourer. The three trim levels will each offer something different to customers. Expression becomes the stylish, value-for-money option. Moving up the range, Dynamique TomTom places the emphasis on impressive equipment specification (naturally including fully-integrated Carminat TomTom satellite navigation) and a sportier, image conscious appeal. GT Line TomTom tops the bill, with even greater sportiness and class-leading equipment and looks. Some versions will actually gain additional equipment. Clio Dynamique TomTom is a prime example, already being well equipped with integrated Carminat TomTom satellite navigation, air conditioning, speed limiter, cruise control and alloy wheels, it now also gains Bluetooth connectivity as standard. The specific model by model changes are outlined in the table below. Complementing the simplified range structures, the total number of options available across the range as a whole, has also been reviewed to make choosing easier.